While I was back, I tried to plan my catch-ups with various London-based friends around mealtimes. The problem with this plan, however, is that I inevitably ended up eating out A LOT. And eating out a lot generally involves eating vast volumes of food. I spent the majority of time fuller than full, and the rest walking to and from feast destinations. It was highly enjoyable for the most part, but rather ridiculous when you think about it. 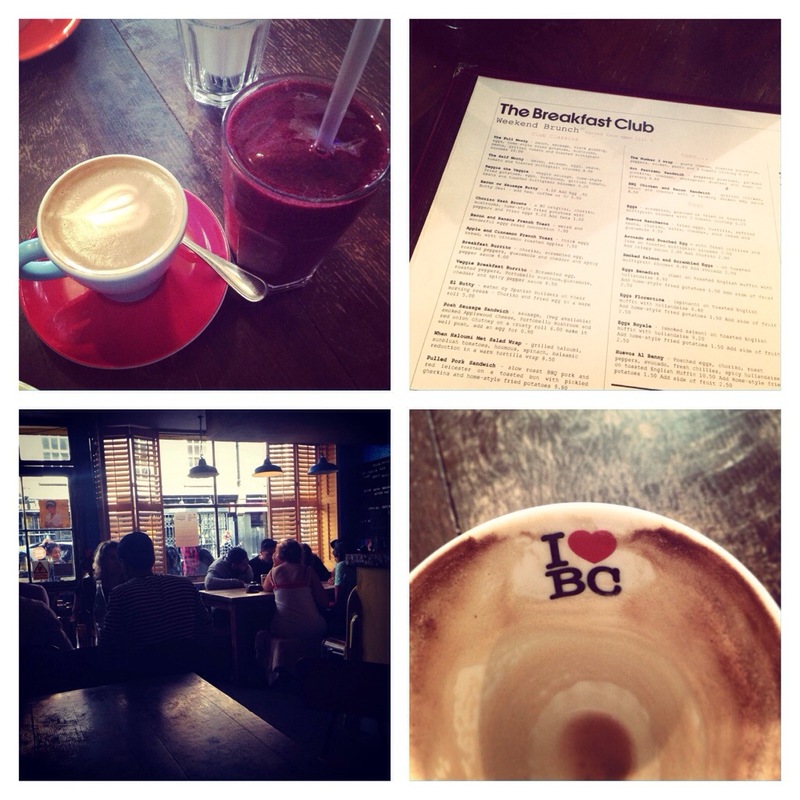 On the day that I visited The Breakfast Club, a Bank holiday weekend Sunday, I consumed FOUR meals. FOUR MEALS. Now I’m no psychic, but I definitely see a detox in my future. You see – the hotel I was staying at provided a complimentary breakfast, and I didn’t want to not take advantage of this marvellous offering. It was part of the deal and I wanted to enjoy it. So while my sister slept, I crept downstairs with my friend for breakfast numero uno. It was 8am, which I felt was ample time before the first meal appointment of the day at half 10. I’m nuts. 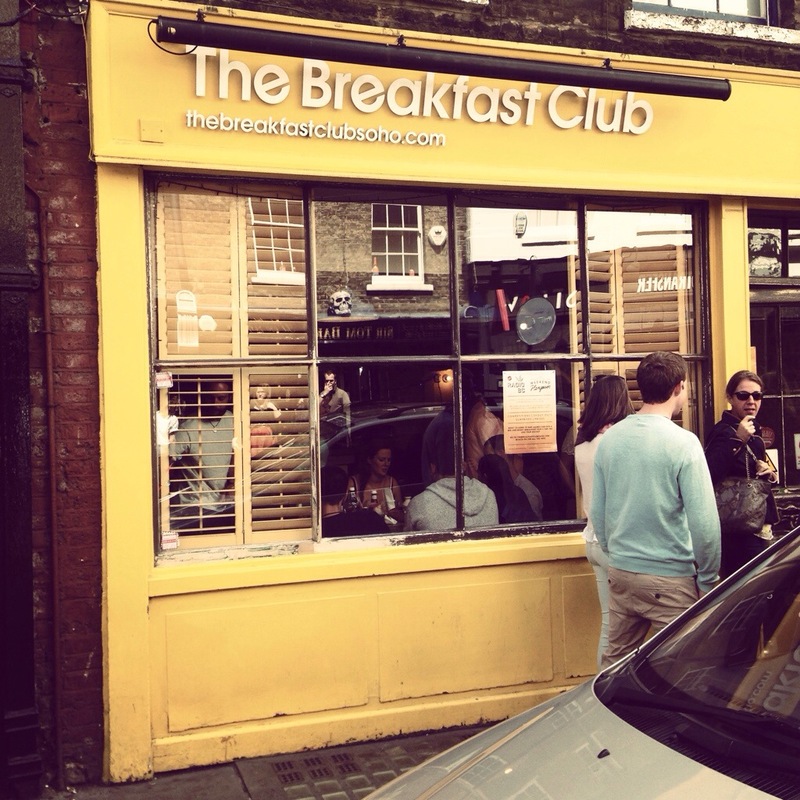 The only very minor downside to The Breakfast Club is that you can’t book a table. You have to just turn up, and queue outside until a table is available. Lucky for me, the friends I was due to meet had arrived about 20 minutes early, so by the time I rocked up, they were one behind the front of the line. Within a few minutes of my arrival, the five of us were seated at a little table inside, menus passed around, and orders taken. The waitress was a quirky character – she danced from table to table rather than walking. Made me want to crack out my best shimmy. I didn’t. 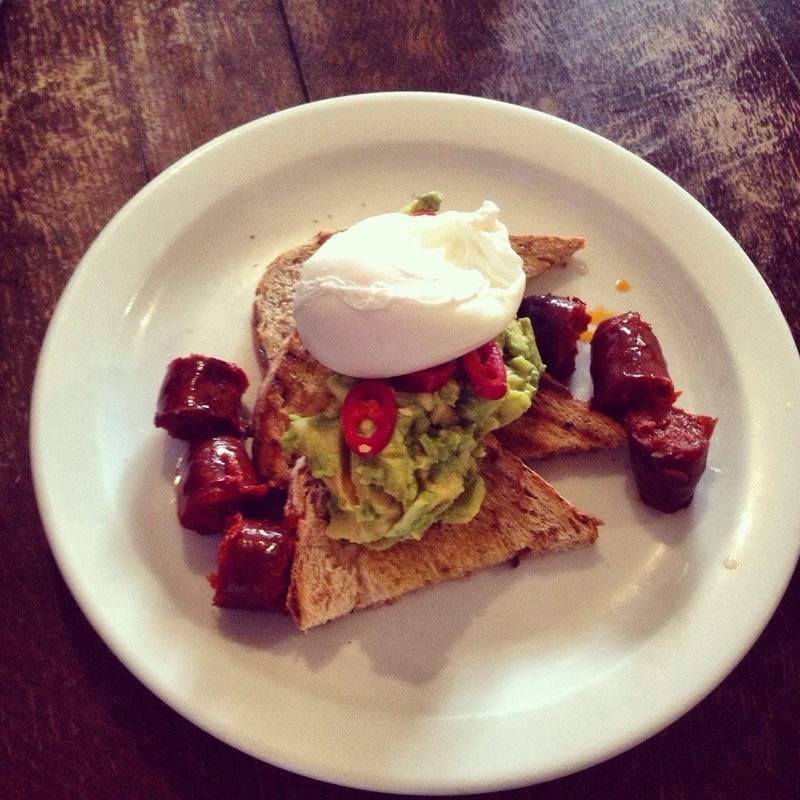 Having already consumed a “small” traditional English breakfast that morning (and maybe a croissant, huh hum), I decided to mix it up a little and go for something entirely different – poached egg and avocado on multigrain toast, served with lime, fresh chillies, and a side of chorizo. I was hesitant about boarding the fresh chilli train so early in the day, but I must say it was a divine combination of flavours. Something I will without a doubt be attempting to recreate at home. 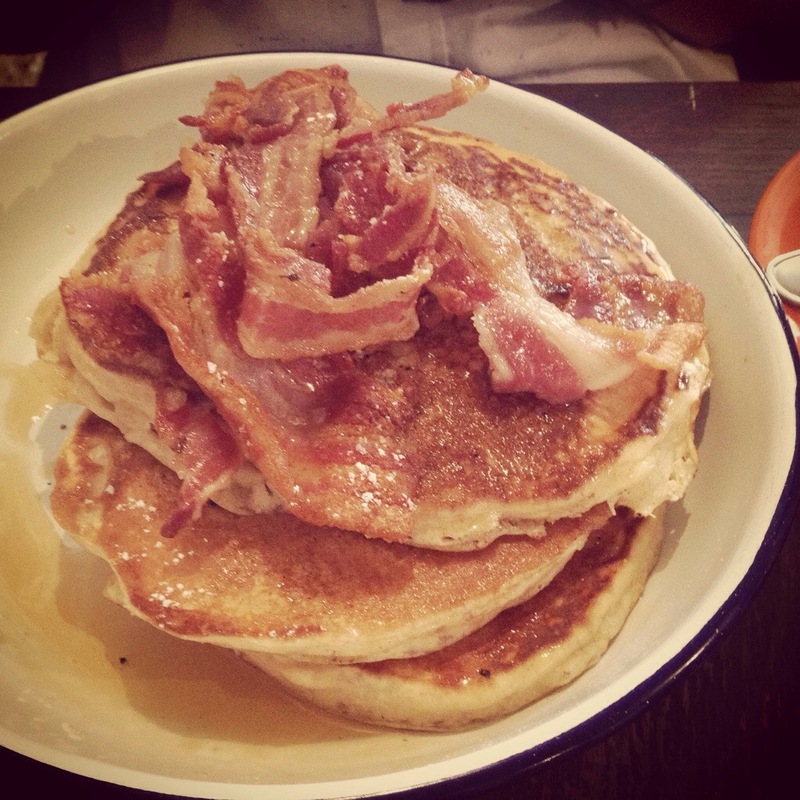 My second breakfast companions happily gobbled up maple bacon pancakes (which I have actually made at home! 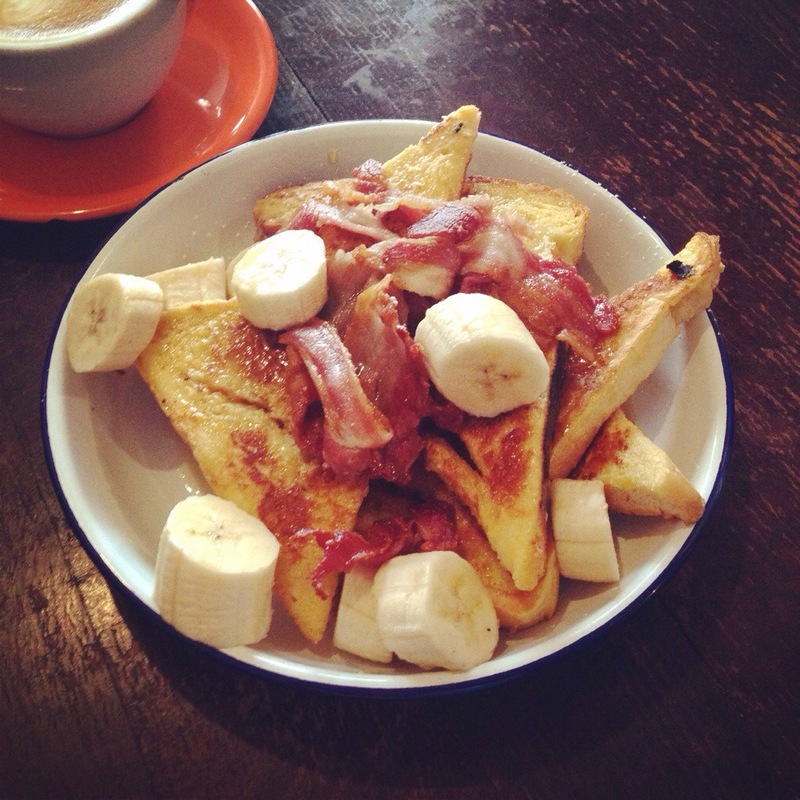 – recipe here), and bacon and banana french toast. Feedback (“Mmmmm” ‘s all round) tells me that both dishes were a hit. 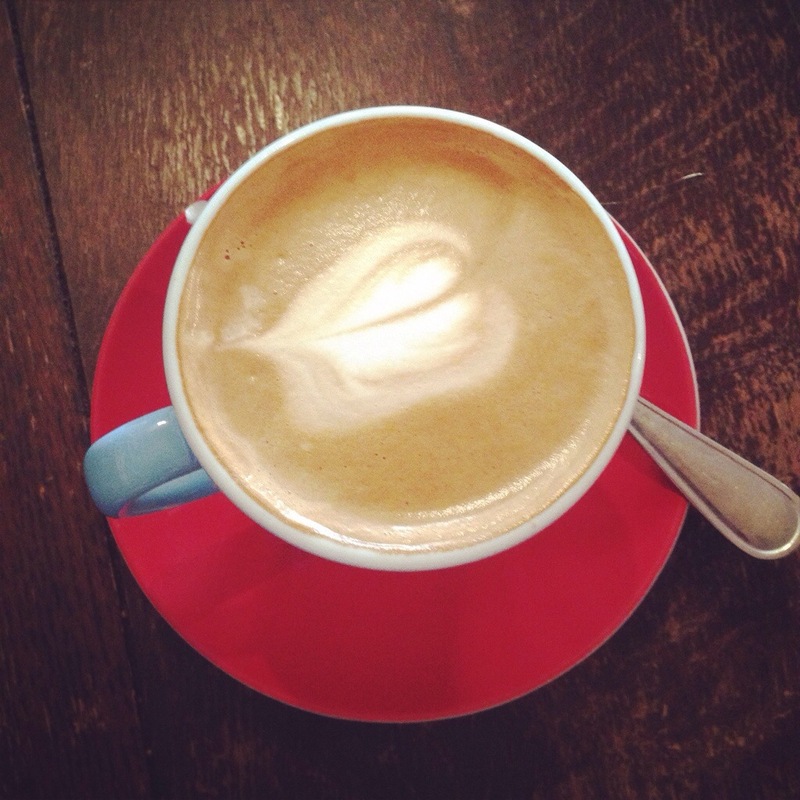 As we finished up and hollered at our jazzy waitress for the bill, I sat there sipping on my flat white, gazing at the wall of mementos left by customers over the years. 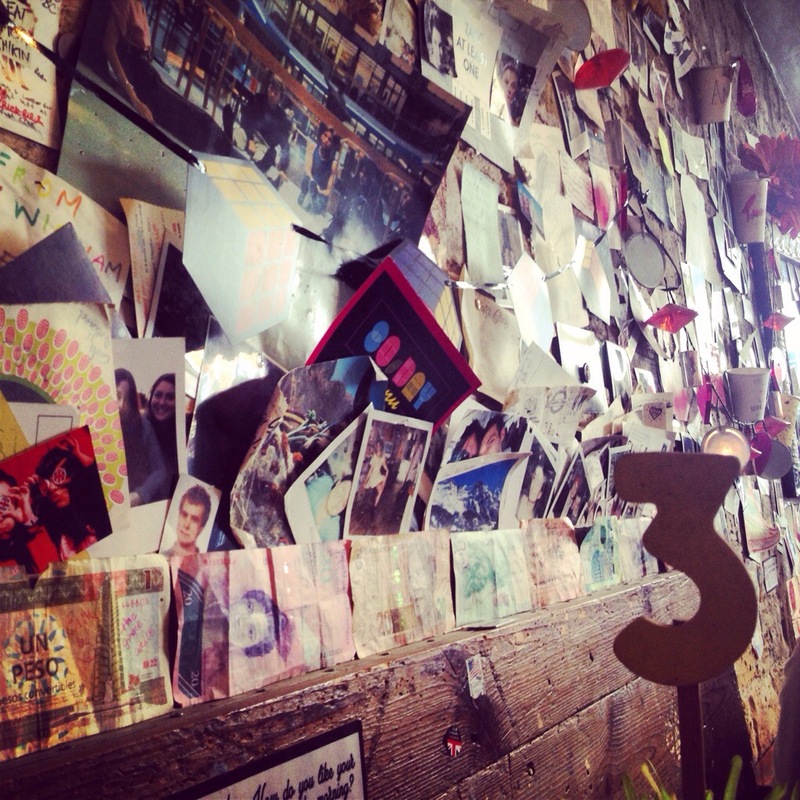 From bank notes to doodles and photographs to party hats, the kooky decor the place a charming feel. The bill came to a very reasonable £15 a head. I would have happily paid more for the quality of food, service, and quirk-tastic atmosphere. Just make sure you plan ahead, and get there early! Keep an eye out for more from The London Diaries, and don’t forget to follow #CAKE on Facebook, Twitter, and Instagram!